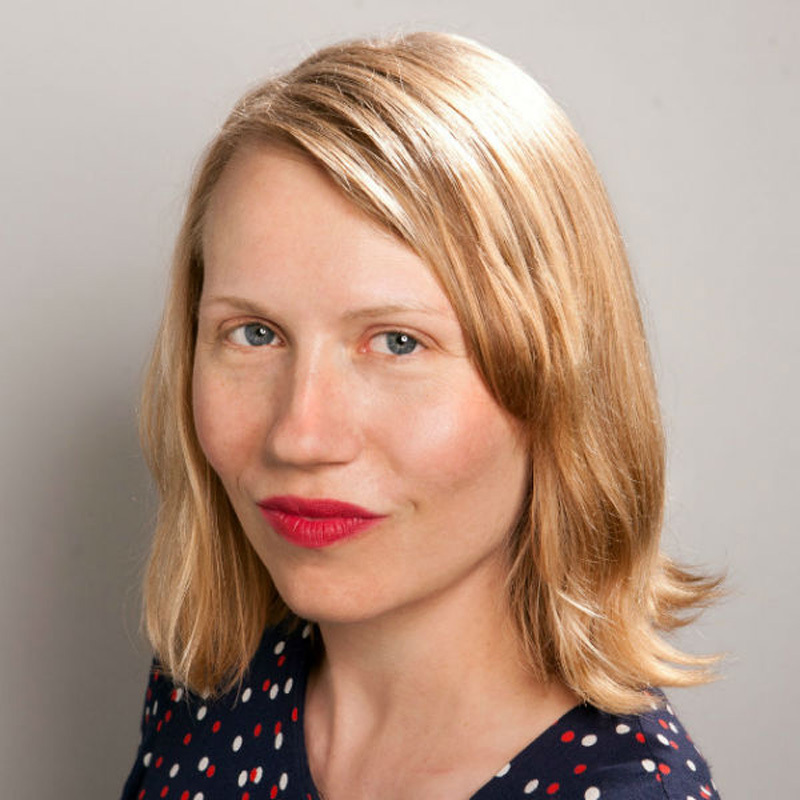 With the new podcast ZOOM, film critic and journalist Amy Nicholson uses current Focus titles as a springboard to dive into fun and fascinating explorations of film cultural and social history. As a film critic, Nicholson has reviewed movies for MTV News, The Los Angeles Times, Variety, and many more. As a journalist, she’s penned articles and conducted interviews for a range of publications, as well as authored the book Tom Cruise: Anatomy of an Actor. She’s also no stranger to the podcasting world, having hosted the podcasts Unspooled, The Canon, and Hollywood Unmasked. When it came to finding someone to craft a smart, sassy, and totally original new podcast for Focus Features, it was a no-brainer to partner with Nicholson. For her premiere episode, “E.T., Phone Hollywood: Aliens Invade the Movies,” Nicholson looks at not only how the aliens in Rupert Wyatt’s Captive State track all the way back to the dawn of cinema, but how these extraterrestrial creatures teach us about ourselves. We spoke with her about the incredible events she recounts in ZOOM's debut episode, how Shirley Temple changed her life, and what exciting topics she’ll tackle in future episodes. Listen and subscribe to ZOOM on Apple Podcasts or wherever you listen. As a journalist, you seem to have explored nearly every aspect of cinema. How did you get started? I've been a film critic since college. It is all I've ever wanted to do. What really interests me about film criticism is that it's a way to talk about everything— history, politics, science, and psychology. We can even talk about things, like aliens, with which we have no experience. To me, studying film is a way to study how people have imagined everything. How would you describe what ZOOM is about? ZOOM is a podcast that lets me ask all the questions I want to ask in my reviews, but never can. Every time I watch a movie, my mind goes down up a bazillion different rabbit holes. Where did that come from? How accurate is this? What's the thought behind bringing that image to life? ZOOM is my way of hitting pause and talking to everyone—from scientists to historians—who knows more about a subject than I do. And then bringing it all together in a podcast. For your first episode, you take us on a wild ride that travels from Captive State back to the dawn of movies. How did you craft it? I wanted to start off to Georges Méliès’ classic 1902 film A Trip to the Moon partially because I’m a Méliès nut. As the first big sci-fi film, I knew it was groundbreaking in terms of imagination. But I hadn't realized it was the first time we'd put a figure on screen and said, “This is how we think aliens might look.” When A Trip to the Moon came out, we didn't really know what was on the moon yet. When I learned that Méliès knew exactly what he was doing when he made the aliens look like the people the French were conquering at the time, it sort of blew my mind. From the very start, there was this connection between politics and aliens. I had a suspicion there must be other things going on in movies like Abbott and Costello Go to Mars as well. You have some fascinating guests. How did you find them? Two of them came from the documentary James Cameron's Story of Science Fiction in which we were all talking heads. I thought the two women—Annalee Newitz and Lisa Laszek—were so brilliant. I definitely knew I wanted to talk to them. We spoke to Shane Campbell-Staton because when I was reading about astrobiology, I noticed that he was quoted in a bunch of interviews. When I got him on the phone, I learned that he done the podcast The Biology of Superheroes—which made him perfect for this. You clearly love movies. What was the first film that sparked your imagination? In my first film class at the University of Oklahoma, “Film and Context of the Great Depression Era,” I learned about something I would have normally rolled my eyes at—Shirley Temple. As a little kid, my parents would put her films on Turner Classic Movies. And I would usually grumble, "I don't get this." But the professor showed how and why Shirley Temple as a cultural icon came about. When Franklin Delano Roosevelt got inaugurated in the middle of the Great Depression, he wanted the country to feel more optimistic. He basically elbowed Hollywood to put out more cheerful content than the gangster pictures they had been making. Shirley Temple, who I always thought was sort of silly, had this great history behind her. How important were films to you growing up? I wasn't that kid who came to film because I was obsessed with movies. I came to it through psychology and sociology. I was fascinated by how a film could manage to have a seismic impact on our culture. When Pulp Fiction came out, I remember how everyone and my uncle started citing it. But I am just as interested in the missteps as the successes in film history. For example, in the 90s, everyone was making movies about the Internet. Yet somehow everyone got it sort of wrong and a little bit goofy. Hollywood thought it could predict the future. Having Sandra Bullock order pizza online on The Net seemed like at the time the most high tech thing ever. Even though it’s silly, the film has become a sort of time capsule. What did you learn doing ZOOM that you didn’t know before? It's interesting how much early film relied on the books and ideas of the time. 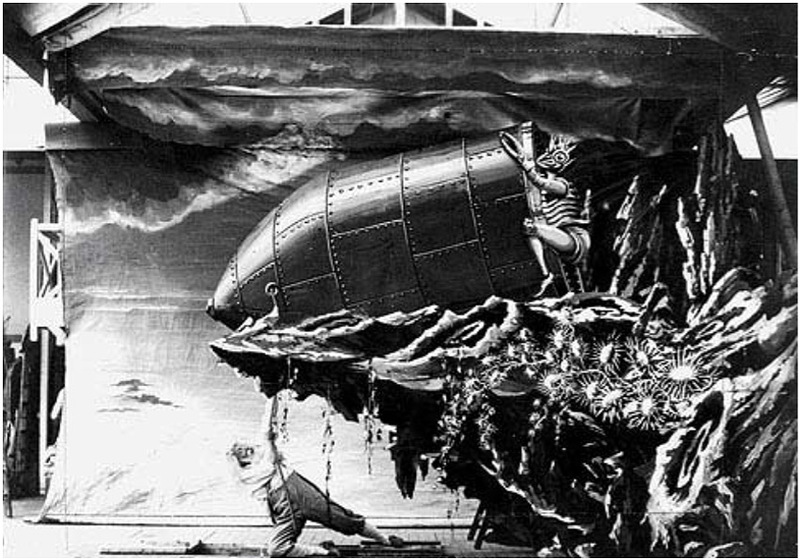 Méliès, for example, was ripping off everyone from Jules Verne to H. G. Wells. In some ways, Hollywood hasn't changed all that much. Everyone is looking for the next cool property and trying to make the next blockbuster from it. What future topics are you looking forward to covering on ZOOM? The next one is about the evolution of the horse as a movie star. It begins with the observation that perhaps the very first movie star ever was a horse. We go from there to the horse stars of the silent era and the cowboys of today, all the way up to The Mustang. And I am very excited about when we get to the Downton Abbey film. There are so many directions to go in from there, be it historical accuracy or the kind of food they were eating.